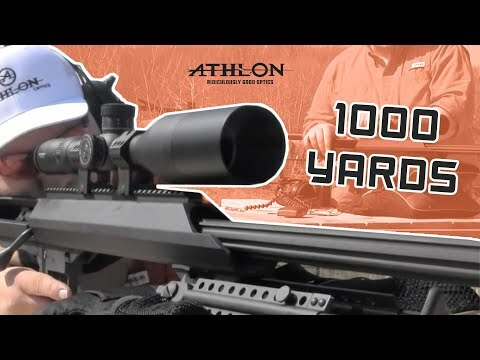 As a proud US sports optics product company, our team at Athlon Optics is dedicated to designing and delivering superior quality rifle scopes at an affordable price. Our wide range of rifle scopes and sport optics products offer something for everyone. From hunting rifle scopes, spotting scopes, and long range riflescopes, we have the perfect optic for you. 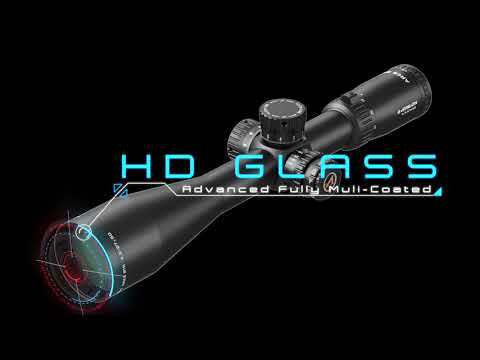 We’re proud to offer HD & ED Glass, advanced fully multi coated lenses, aircraft grade aluminum, and high precision machining parts, as well as a multitude of other features on our affordable rifle scopes. 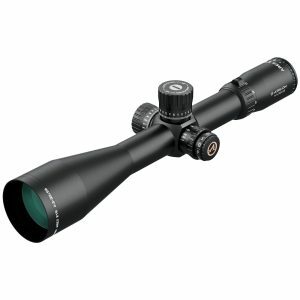 Whether you’re competing in a 22LR match, a benchrest airgun competition, or shooting anything from varmints to big game, our selection of quality scopes are sure to help you make the perfect shot. 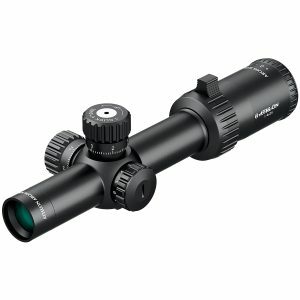 Not sure how to select the perfect rifle scope for your needs? 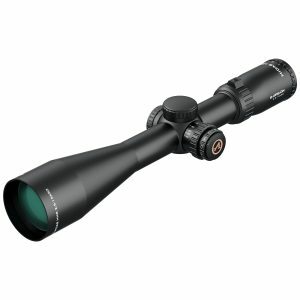 Take a look at our riflescope guide here. Still need more help or further explination? Feel free to call us at 1-855-913-5678 or contact us online, and one of our experienced team members will be happy to help! 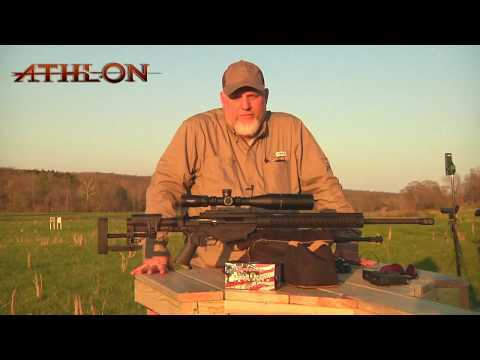 We highly encourage you visit youtube.com and look at what people are saying about Athlon Optics rifle scopes. Regular people give their honest opinions about our rifle scopes, and we’re proud of what they have to say. Please know that all of our products come with lifetime, unconditional, transferable warranty that meets or exceeds industry standards! Please click the Scope Finder link above to help you navigate through different scope options we have for you. 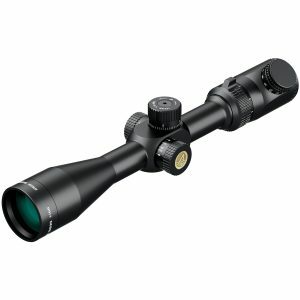 This has been rated as one of the best rifle scopes for long-range shooting,tactical applications, or extreme long range hunting adventure and our top of the line product that is made in Japan. 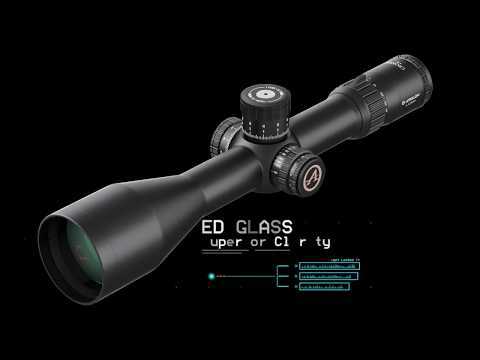 Features: ED Glass, FFP, Advanced Fully Multicoated, True Zero Stop, Illuminated Reticle, 34mm Tube, 10MIL/25MOA Travel-Per-Rotation Turrets. When you want the best features from the top-tier rifle scopes but not break the bank, look no further than the new Ares BTR First Focal Plane rifles copes family. Features: HD Glass, FFP, Advanced Fully Multicoated, True Zero Stop, Illuminated Reticle, 30mm Tube, 10MIL/25MOA Travel-Per-Rotation Turrets. 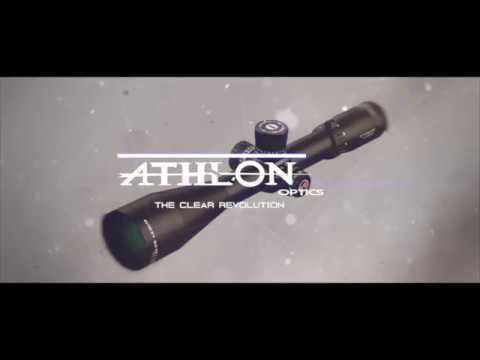 Here at Athlon Optics we have listened to your feedback and suggestions and developed the Midas Tactical. Loaded with features including : HD Glass, FFP, Advanced Fully Multicoated, True Zero Stop, Capped Windage Turret, 30mm Tube, 10MIL/25MOA Travel-Per-Rotation Turrets. 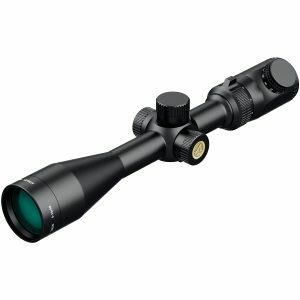 The Midas HMR Second Focal Plane Rifle Scopes line is made by hunters, for hunters. 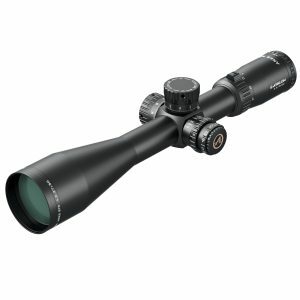 Featuring HD Glass, SFP, Advanced Fully Multicoated, Capped Elevation & Windage Turrets, Illuminated Reticle, 30mm Tube. The Midas BTR rifle scopes family will meet your needs whether you are shooting prairie dogs at 700+ yards or you are shooting 3 gun. Featuring HD Glass, SFP, Advanced Fully Multicoated, Direct Dial Elevation & Windage Turrets, Illuminated Reticle, 30mm Tube. Looking for a Long Range Shooting and Hunting Scope? The Helos BTR rifle scope family will be the answer. Featuring FFP, Fully Multicoated Lenses, Direct Dial and Locking Elevation & Windage Turrets, Illuminated Reticle, 30mm Tube, Zero Stop * 1-4.5x24 only. For those of you that are just getting started in the PRS or are looking to start long range shooting discipline, take a close look at the Argos BTR family of rifle scopes. Featuring FFP, Fully Multicoated Lenses, Direct Dial Elevation & Windage Turrets, Zero Stop Shim Kit, Illuminated Reticle, 30mm Tube. 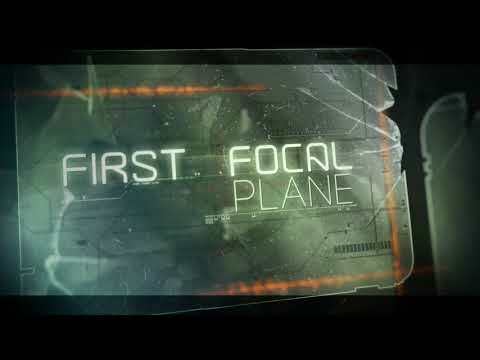 It might be beyond your imagination to have a first focal plane rifle scope at around $300, we made it become true for you. The Talos BTR family of rifle scopes featuring SFP (1-4x24) and FFP (4-14x44), Fully Multicoated, Direct Dial Elevation & Windage Turrets, Illuminated Reticle, 30mm Tube. If you ask any hunter they’ll tell they probably have filled more tags in the low-light hours than any other time. With that said, it would be wise to design a scope to excel in early-morning and late-evening light. The Talos family of rifle scopes featuring SFP, Fully Multicoated, Capped Elevation & Windage Turrets, Illuminated Reticle, 4x Power Ratio, 1 inchTube. This is the perfect line of hunting rifle scopes for those who want quality and features all while staying on budget. Featuring SFP, Fully Multicoated, Capped Elevation & Windage Turrets, Illuminated Reticle, 3x Power Ratio, 1 inch Tube.